Parents do not have time to be sick. You never realize how busy you are until you get sick, and then you turnaround and realize there are 15 piles of laundry and the dishes haven’t been washed for 3 days. We’ve had a respiratory virus going through every one in the family for the past 2 weeks. It was finally my turn this week. Not fun. Not fun at all. I think I’m finally on the mend. I woke up this morning, and my voice has returned. I’m so glad it’s an easy weekend, and Nate can help me catch up with everything. He woke up this morning and finally seems his normal, happy self, too. Today I want to share a play on an easy weekend breakfast you can make the night before. Remember my delicious Cinnamon Blueberry French Toast? 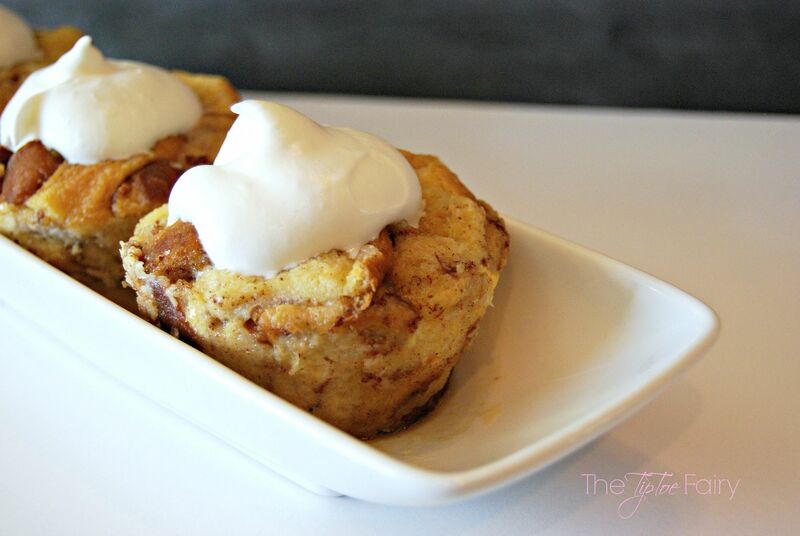 I’ve turned it into an individual version with these Stuffed French Toast cupcakes. 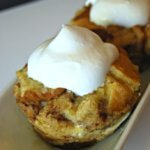 I make a french toast casserole on the weekends usually once every couple of months. I like that there’s enough leftovers for the kids to have it for breakfast on school days. But, what can be difficult is finding room to store an entire casserole in the fridge. Space is a hot commodity in my fridge. This is why I decided to make it into cupcakes for easy storage. It’s so much easier to put four cupcakes in 2 or 3 small stackable containers than a huge casserole dish. The kids liked it, too! They could easily pull just one out and heat it up instead of having to maneuver a large container in and out of the fridge. 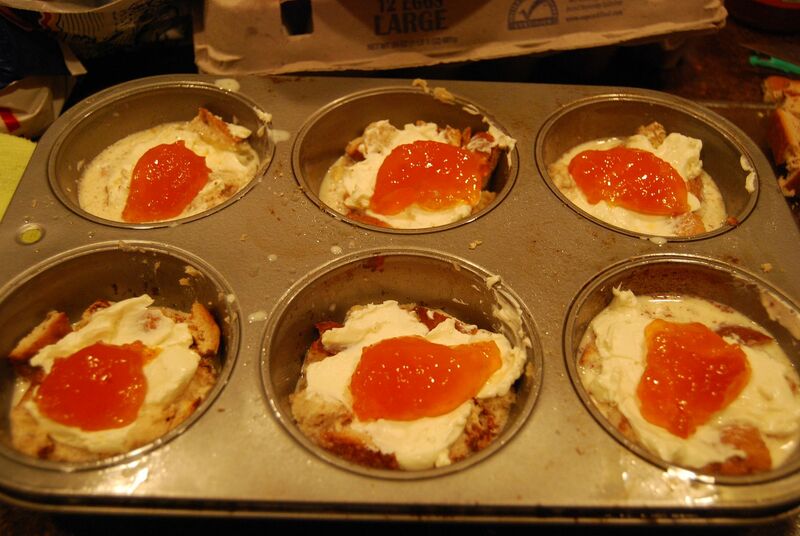 For this version, we’re using my favorite “stuffing” which is apricot preserves and cream cheese. If you like sweet and tart, this is a delicious mix to put inside the cupcakes. 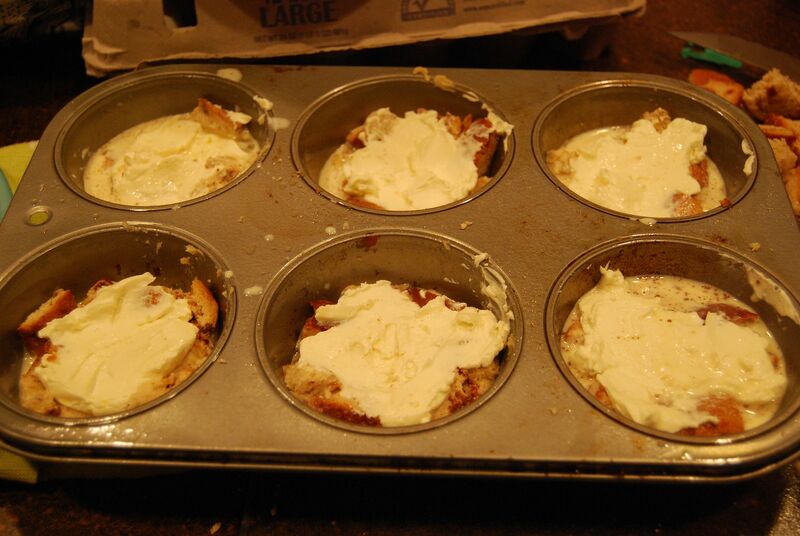 Then, once they’re done, frost them with some delicious homemade whipped cream. 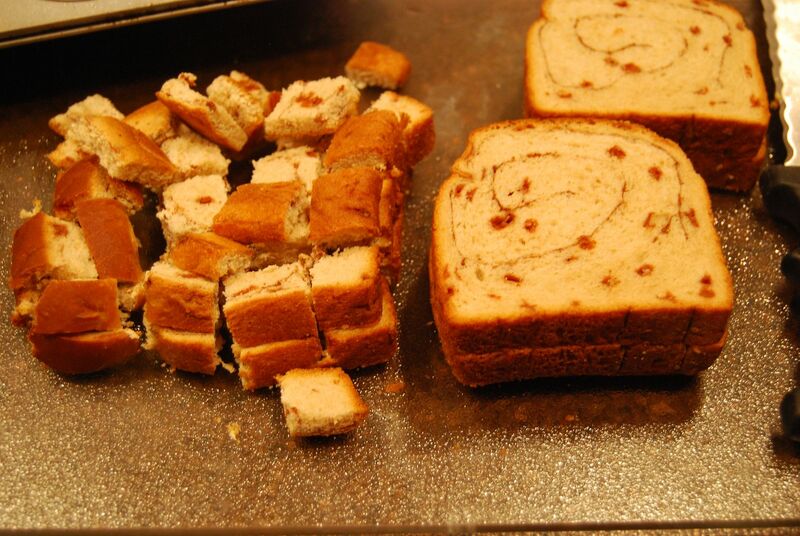 Divide the bread into 2 or 3 stacks and with a large knife cube it into small pieces. Mix the butter and 1/4 cup of brown sugar until well combined. 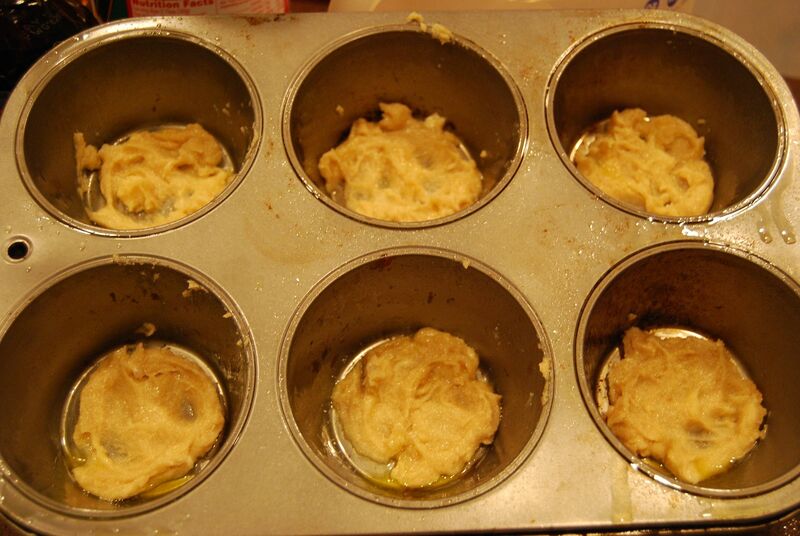 Then, place a spoonful in the bottom of each muffin tin and spread it to cover the entire bottom. Combine the eggs, milk, maple syrup, and cinnamon in a large bowl. 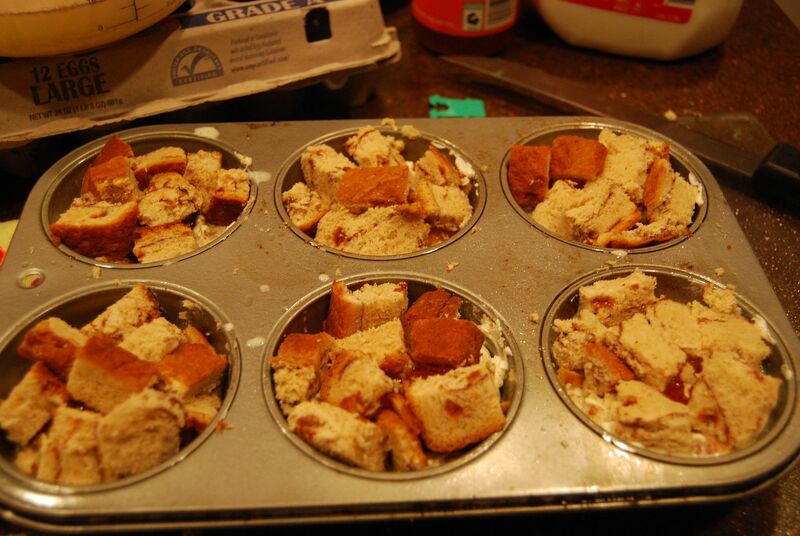 Fill half of each muffin tin with cubed bread. Then add the milk mixture just up to the bread cubes, and let it soak in for a couple of minutes. Next, add a spoonful of apricot preserves (or a few berries or sliced fruit). Add the fruit to cover the cream cheese. 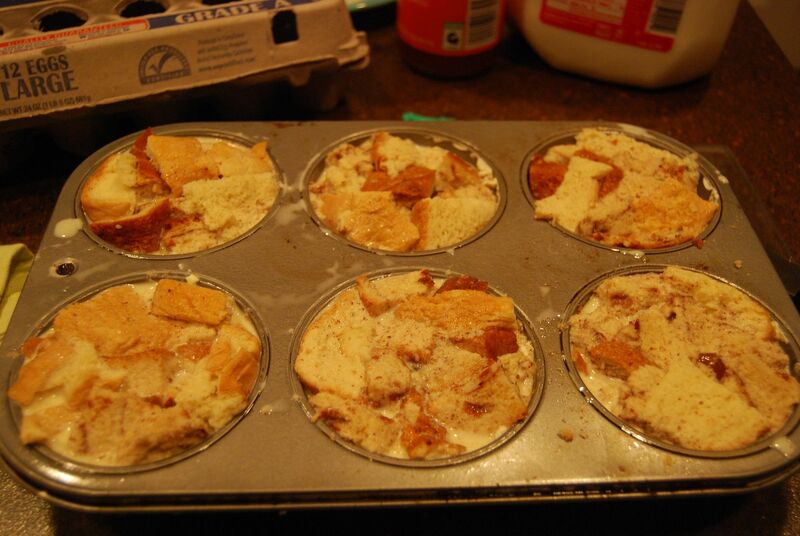 Then, add bread cubes up to the top of the muffin tin. Pour additional milk mixture up to the top. At this point, it probably looks too full, but the bread will soak it all up. 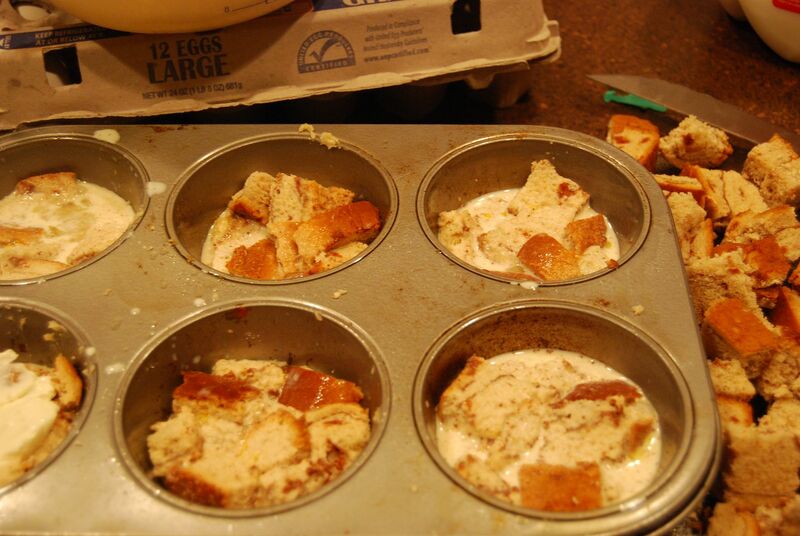 Use the second 1/4 cup of brown sugar and sprinkle over the tops of the cupcakes. Cover with foil and let it sit in the fridge overnight or at least for 1 hour. In a chilled mixing bowl, add 1 cup of whipping cream and 1 tbsp powdered sugar. Beat on high for a few minutes until soft peaks form. Spoon over cupcakes and serve. Oh boy! These sure do sound good! Something my kids would really dig-pinning! These are so cute and look amazing!! Of course, I am also a breakfast addict. What a cool idea! Love these. Will share to my peeps on my Cooking On A Budget FB page! These look so yummy! I can’t wait to try them. Thanks for sharing your recipe! Genius! What a great idea! My kids would love this – thanks for sharing! G’day! I think these are a GREAT idea and are now on the list! Thank you! Those look absolutely divine! i love the step by step photos! These look delicious! 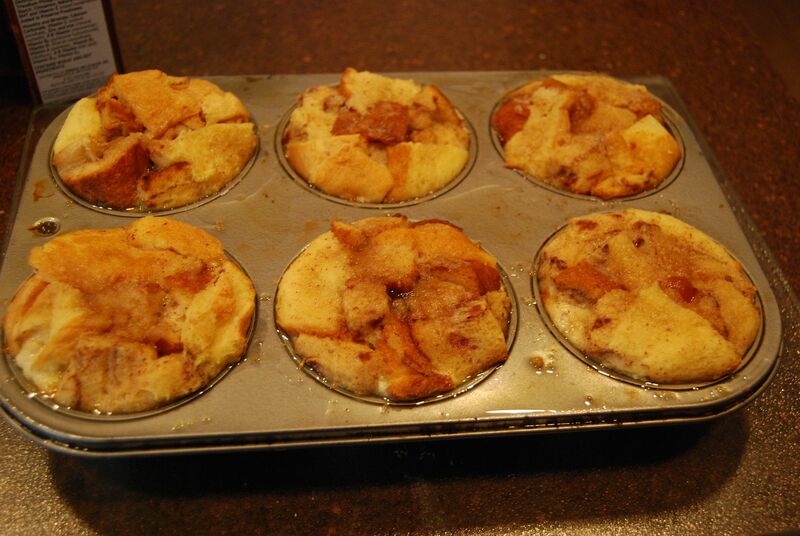 I’ve been looking for some easy to reheat breakfast foods! these look absolutely amazing! I’ve often thought about making french toast this way too!! Great idea and I love that you stuffed them with jam! These look so good! 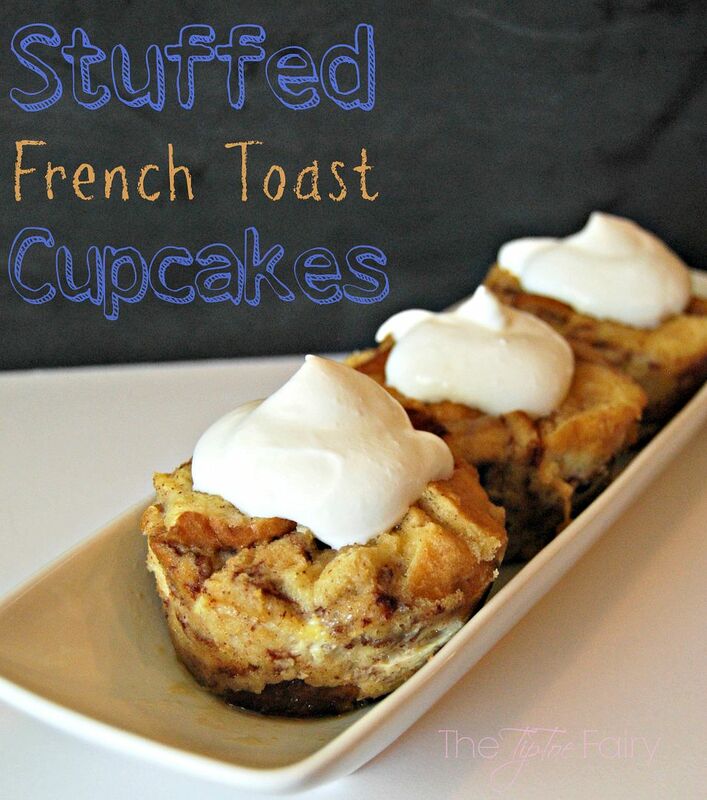 I love the flavor of French toast, but not the soggy bread, so these would be perfect for me! These are genius! I love the small portions. They would be great for quick, on the go breakfasts and school snacks. I’m pinning these for later. Thanks. Yum!! It reminds me of some chocolate chip baked French toast I made recently. Delish!! Do you think you could make this without the preserves? Just, I never have any. 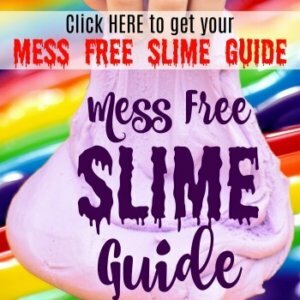 Thanks for a great post!! Thanks, Elizabeth! I think you can skip stuffing the middle or put just about anything from ham to fresh fruit. Nutella would probably be delicious inside, too. These look amazing! I think I need to try them this weekend! OH MY GOSH this is genius! The look and sound WONDERFUL!!! Thanks, Mary! I thought it was such a great idea to be able to store them in the fridge, so I could just pull 2 out for breakfast. It’s such a pain to store one of those french toast casseroles in the fridge.